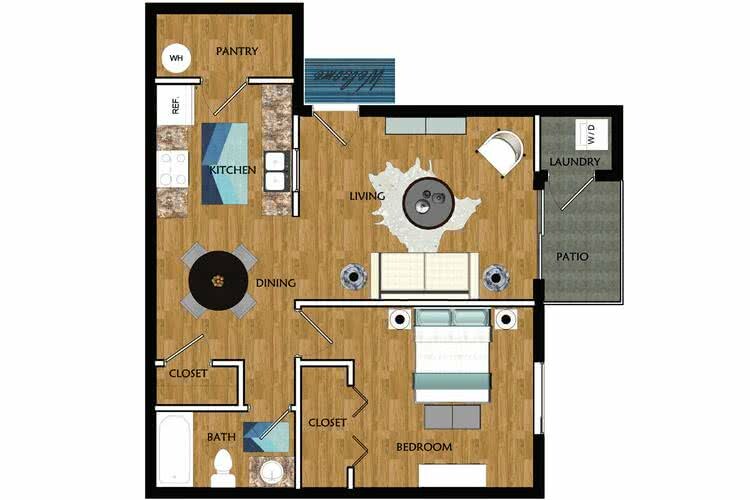 Whether you are looking for a one, two or three bedroom apartment in Las Vegas, NV, Vue 5325 has the perfect floor plan to fit your needs. 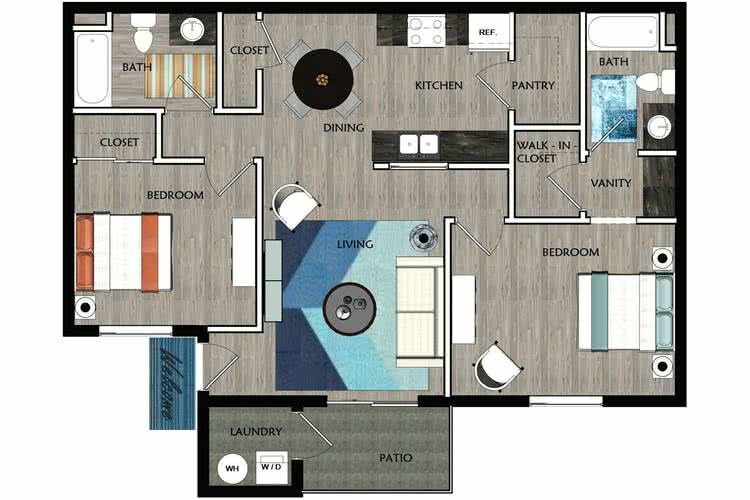 Choose between our 704 square foot one-bedroom up to our super spacious 1100+ square foot three-bedroom floor plan. At Vue 5325, we also offer corporate housing options in our 1 and 2 bedroom apartment homes. Choose from fully furnished or unfurnished options. 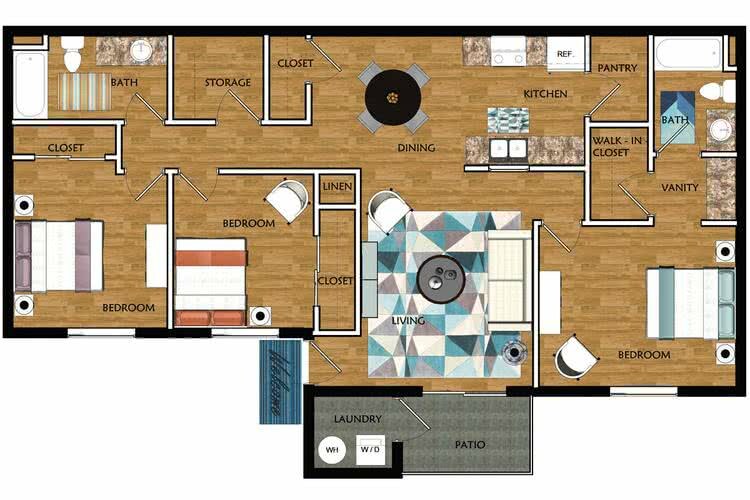 Our open concept floor plans offer the perfect amount of space for you and your family.